Black Friday is over and throughout the duration of the holiday, we managed to update our list on an hourly basis to give you only the best throughout the holidays. What to Expect from Acer Monitor Deals on Black Friday? The 24" GN246HL Bbid 1080p 144Hz monitor is one of the cheapest 144Hz monitors with 1ms response time you could find, even today. It may be 3” smaller than its brother-- the 27" GN276HL-- but they basically share identical specs. Unfortunately, the price of this 16:9 aspect ratio 24” monitor deals stayed the same throughout the event. Unlike the GN276HL, that cost $199.99 that day down from its original retail price of $240. Another monitor to keep an eye on is Acer’s 28" CB281HK 4K UHD. 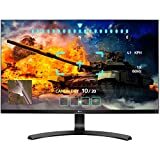 This was one of the best computer monitor deals that day. It’s a 4K monitor that cost $320 on Black Friday down from its original retail price of $360. But, if you were keen enough to look at price drops before the big day, then you’d have been one of those lucky people who purchased a 28” 4K monitor for only $190. 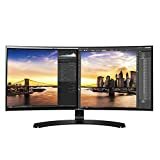 Will this be one of the best 4K monitor Black Friday deals of 2019? 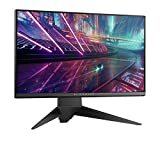 What to Expect from Alienware Monitor Deals on Black Friday? Alienware’s 25" AW2518HF 240Hz FreeSync monitor has a 240Hz refresh rate that supports AMD FreeSync technology, great at reducing screen tearing, out of the box. If you have an NVIDIA graphics card, then you won’t benefit from the FreeSync technology; you’d need to invest in an NVIDIA G-Sync monitor for that. It was originally retailed at $440 in early October, but prices nosedived to $320 during the last week of October and first week November. Unfortunately, prices rose back up to $380 just before it hit the $350 mark on Black Friday. With that in mind, is history going to repeat itself this year? Doubtful since it’s a year older. In fact, I’m expecting this to make a huge discount this year. 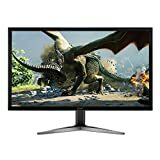 What to Expect from AOC Monitor Deals on Black Friday? You could get AOC’s 27" I2757FH 1080p IPS panel monitor for $215 during last year’s Black Friday, which was down $50 from its retail price of $265. One of the things that made this stand out was its very slim bezels. However, because it’s an IPS panel, this has a slower response time (5ms). Planning to get one these days may not be in your best interest, especially now that they cost $349. However, chances are that you can catch a glimpse of these again at a lower price this Black Friday. 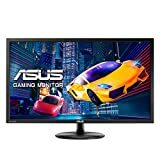 What to Expect from Asus Monitor Deals on Black Friday? Another hit from last year’s 27" monitor deals was the 27" ROG Swift PG278QR 1440p WQHD monitor. This doesn’t just have far more detailed graphics, but it also has a fast 1ms response rate and 165Hz refresh rate! It’s price during the event? Just $480 from the original retail price of $640-- that’s $160 off for a monitor with great features. The 24" VG248QE 1080p (Full HD) monitor is also worth grabbing-- priced at $170 on Black Friday, down from $260. 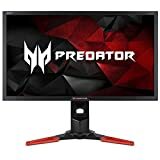 This 144Hz monitor deal really is something you’d be more than happy with. Possibly the cheapest on the list from last year’s Black Friday event was the 23" VC239H 1080p monitor from Asus. It was already cheap, priced at $135 in October, but on Black Friday, you could get this 1080p FHD monitor at $96! The Asus ROG Swift PG348Q 34" is a 3440x1440 resolution QHD IPS curved gaming monitor. This curved monitor also has a 21:9 aspect ratio that supports G-Sync and comes with a 100Hz refresh rate. Last year this cost $1,300, but now they can be yours for only $899. And seeing as how the price dropped last year during Black Friday, it’s highly possible you’ll find one lower than that. What to Expect from Dell Monitor Deals on Black Friday? The 27" S2716DGR 1440p 144Hz WQHD monitor from Dell originally cost around $500, but on Black Friday last year, you could grab one at $398. If you specifically want an Ultrasharp 24” monitor, then the Dell Ultrasharp U2412M 24” monitor comes highly recommended. It’s also affordable-- its price has dropped $152 since the start of the year. Alternatively, the Dell 32” D3218HN FHD IPS monitor is worth considering if you’re wanting a large monitor. Dell also offers Dell Small Business solutions, making them a superior pick if you’re a business owner. Whether you only need monitors or the entirety of Dell’s technology, you are backed with their small business solutions, which empowers entrepreneurs globally. What to Expect from LG Monitor Deals on Black Friday? 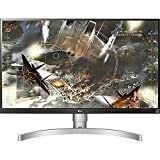 This 29" 27UD68-P UltraWide IPS monitor with AMD FreeSync technology is also worth grabbing. During last year’s UltraWide monitor Black Friday deals it only cost $200. Its main competitor is its cousin: the 29" 29UM68-P UltraWide IPS UHD monitor. Similar to NVIDIA’s G-sync monitors, this supports AMD FreeSync. Plus, it has generally been cheaper ranging anywhere between $260 and $340 outside of Black Friday sales. Should you want a monitor that supports HDR, then a personal recommendation would be the LG 27UK650-W 27" 4K UHD IPS. It also comes with not just an HDMI port but a DisplayPort as well. But should we expect these to be on sale? Of course! We expect most to get at least a hundred dollar discount. 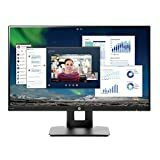 What to Expect from HP Monitor Deals on Black Friday? It’s also going to be worth keeping an eye on HP’s 24" 24UH 1080p monitor. It has an IPS panel so images will look better and smoother. During last year’s Black Friday event, these cost about $120. These days, their base price is $115 and it’s not even a week from Black Friday yet. So chances are you will be able to buy one at a great price this year. What to Expect from Samsung Monitor Deals on Black Friday? Samsung’s 28" LU28H750UQNXZA UltraWide 4K monitor appeals to a lot of professional content creators and gamers-alike. With its retail price of $450 going down to $330 last year, you should be keeping an eye on it this year. This 32" LS32F351FUNXZA 1080p is another appealing option thanks to its size and all white aesthetic. Moreover, last year it was discounted by about 50% from $400 to $200. What to Expect from Lenovo Monitor Deals on Black Friday? The Lenovo 65D2GCC3US QHD Monitor was one of the most popular models sold during last year’s Black Friday by Lenovo. It originally cost around $200, but then dropped to as low as $130 on Black Friday. Since then, it’s become cheaper and is expected to repeat its huge discount this year-- maybe even lower! Black Friday is the day following Thanksgiving Day in the United States. What makes it special is that it’s regarded as the first day of the traditional Christmas shopping season. Shops in the United States like Walmart will open very early, and I mean very early-- like overnight-hours early. Similarly, online retail shops like Amazon, Newegg, and eBay will offer Black Friday deals as early as a week ahead. Sales will be everywhere and people who saved their entire year’s salary for this day will leave no stone unturned. 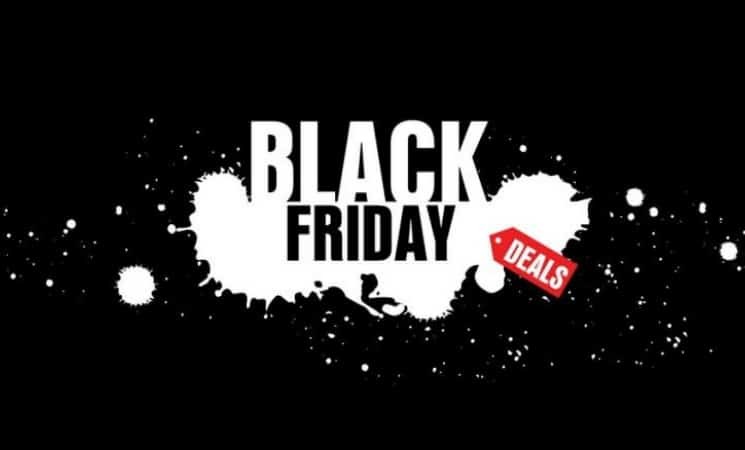 This year’s Black Friday will be on November 23. It’s literally just less than 50 days from now. That’s also 3 days before Cyber Monday-- another day for a shopping spree! Though it’s still well over a week from now, you just can’t tell when deals pop up, which is why we’re actively checking deals online from time to time to keep you posted. In fact, you can check Early Black Friday deals now on Amazon. How to Keep Yourself Updated with the Latest 2019 Black Friday Monitor Deals? You can choose to bookmark the items but it’s going to be a challenge keeping up with all of the prices separately. Better yet, you can join Amazon’s waitlist so you would get notified if deals are up. Deals will likely show up timed and a status bar to indicate the availability of the item. In case you missed it, you can simply click on the Join waitlist. When done, you will be notified on your mobile device if it’s available again. 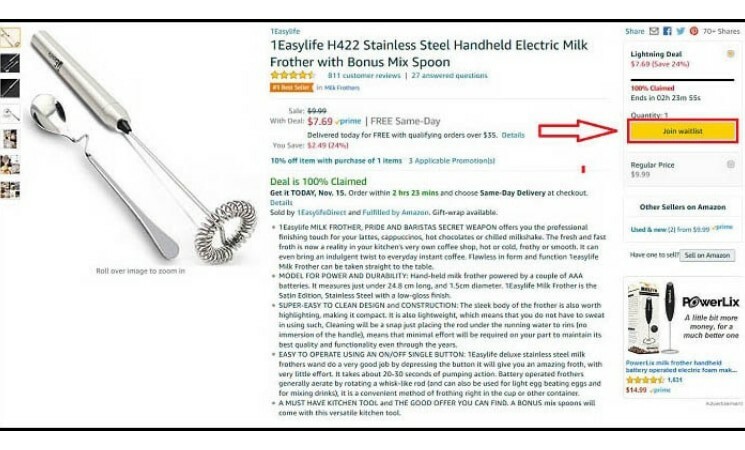 It’s also recommended that you create your own list on Amazon. This serves not only as a self-reminder but you can also share this with your friends and family so you can get exactly what you want. Keep Tabs with Us to Find the Best Monitor Deals! Here at WePC, we aim to give our readers the latest and up-to-date Black Friday deals in a very convenient manner. It’s not too early to find Black Friday deals now because Amazon has already made the move. On top of that, we’re dedicated on giving this page fresh update from this day on a daily basis so make sure you check us out, especially during the big day! 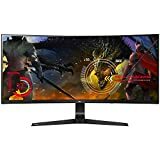 60Hz/120hz/144hz Monitor for Gaming: Which is Better this 2019?